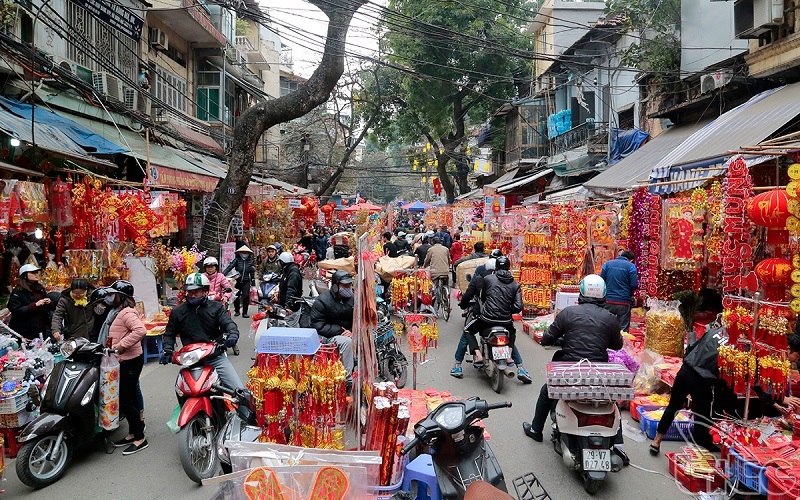 Around one month before the Lunar New Year, the Hanoi rush to shop in decorative items to beautify their home. Many meet in the specialized streets to enjoy the festive atmosphere of traditional Tet. Then it will be a great chance to make a trip to Vietnam on the occasion of Tet, so that you can feel the fantastic atmosphere in the biggest festival of this country. In Hanoi, Hàng Ma street (votive objects street) is the liveliest and most colorful street in the Old Quarter on the occasion of traditional Tet. Currently, Hàng Ma comes from the neighborhood of the same name, Hoàn Kiêm district. It is located near Hoan Kiem Lake (Returned Sword) and Dong Xuan Market (the largest market in the Old Quarter). 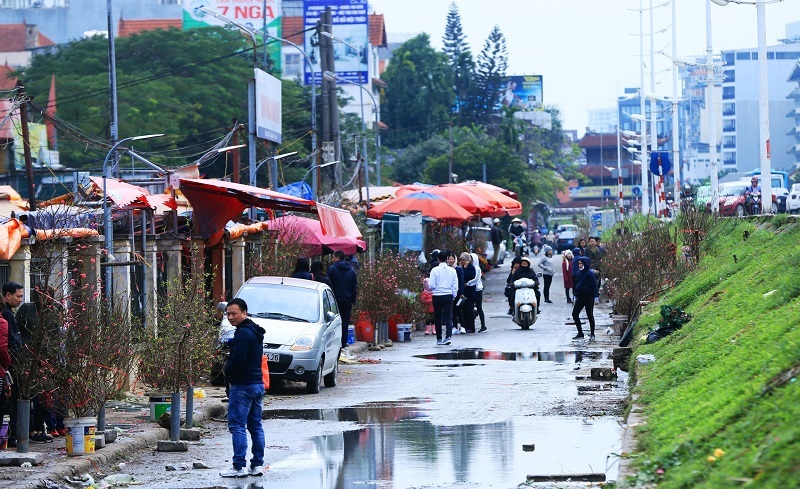 A must for tourists and Hanoi themselves. The first come to stroll, the latter to buy decorative objects and votive objects. By visiting the streets selling decorative items, you can not only immerse yourself in the festive atmosphere of traditional Tet but also take souvenir photos. With all its range of products, Hàng Ma is certainly a place to discover imperatively. Your vacation in Vietnam will be more unique than ever if visiting on the Lunar New Year. Only 2 weeks to come, if you want to experience this big festival, quickly book tour to get the best preparation. Vietnam Typical Tours is a reputable unit, so it is worth sending you when traveling in Vietnam. Head Office: 20 Alley Camp, My Noi Hamlet, Bac Hong Village, Dong Anh District, Hanoi.